mplsgossipgirl mpls by a girl in the city. The Left Handed Cook is one of the best new restaurants in Minneapolis and is one of the secrets of the city. I cannot believe that this place does not have a line out the door every Friday and Saturday night. It is hip and they are making some great and unexpected food here in Minneapolis. 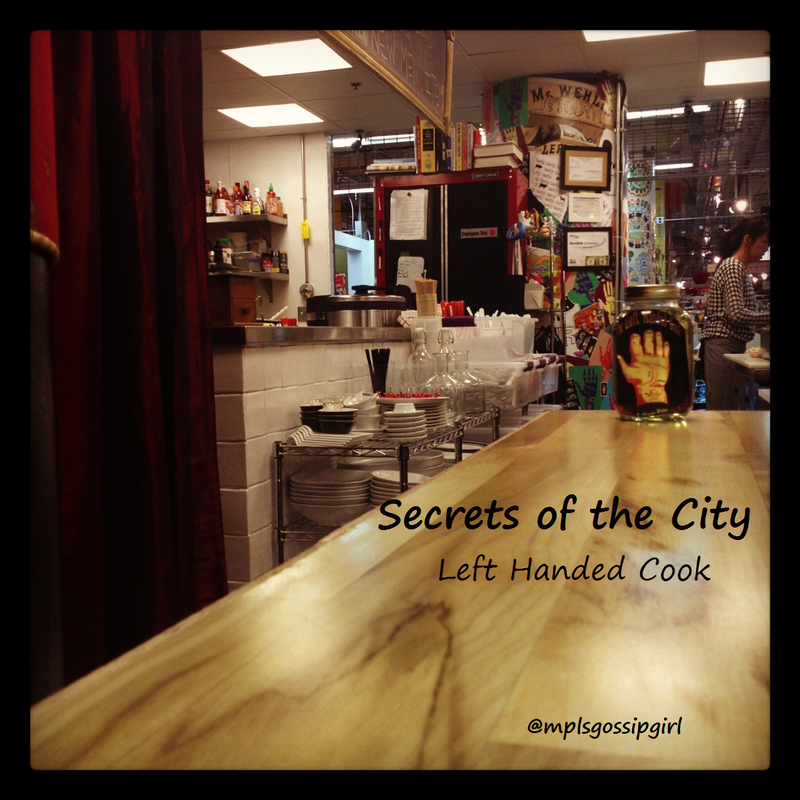 Located in the Midtown Global Market The Left Handed Cook brings a casual dinner to new heights. It is a little intimidating for non-foodies. But, if you knew what was actually in the dishes I think you would like it. I watched many people look at the menu and shake their heads. A bip bowl and sandwiches with all of these fancy ingredients were too much for them to think about. I say give it a try you might like it. I am sure that the owners and cooks would love to explain to you everything that goes into their dishes. 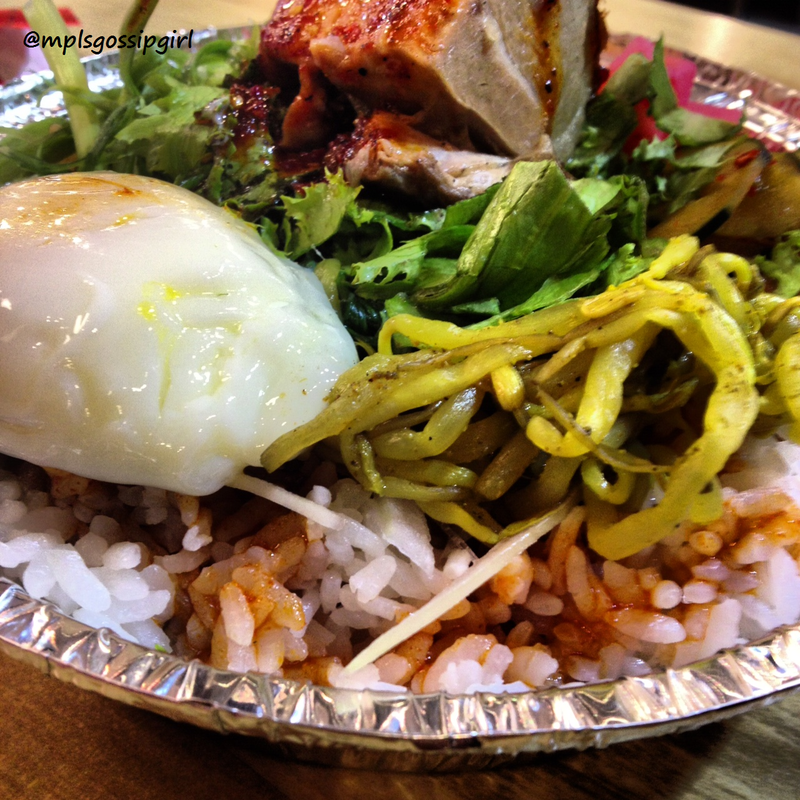 It is just sad that one Yelp reviewer said they put a “raw egg” on their bip bowl, I think this person may want to learn how eggs can be cooked different ways; actually it was poached. If you never have had a poached egg before, you must try it. It is my favorite way to eat an egg. The limited menu boils down to starters, sandwiches, and rice bowls. I would suggest to order at least one sandwich with a rice bowl. 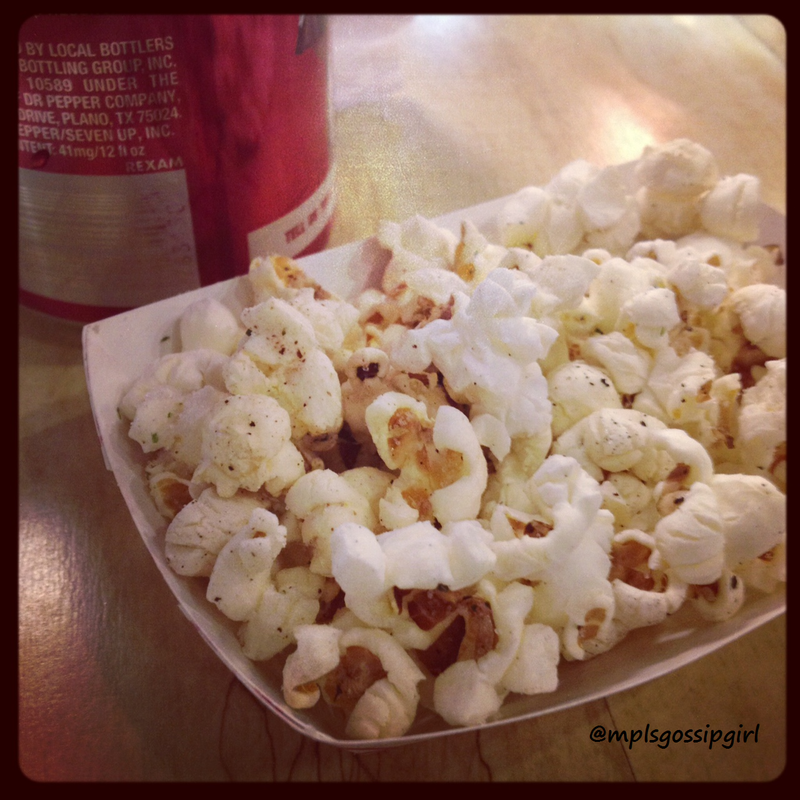 To start you off they give you a small snack of popcorn with hand mixed spices. I ordered the soft shell crab sandwich. The bun is likely from the Salty Tart. For those with a sweet tooth the Salty Tart is a cramped bakery in the Global Market that creates some of the best baked goods in the city. 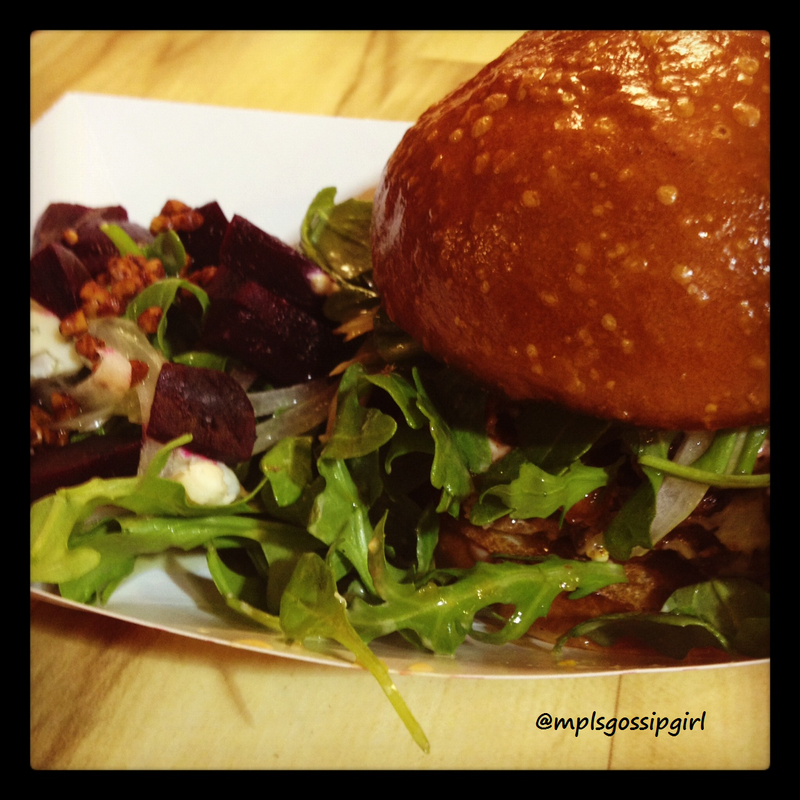 In between the bun is sauce, fried crab pieces, and fresh greens. The sweetness of the soft shell crab comes through the light crunch of the breading. Oozing between the meat and lettuce is a brightly spiced sauce that provides some heat. The best part of the sandwich was truly the sauce that I wish I could have to put on everything in my own home. On the side is a fresh roasted beet salad. My favorite part of the meal. There is something about a perfectly dressed salad with flavors that meld well that really makes me happy. This particular salad had cheese and a roasted nut with little bit of crunch that paired well with the greens and the dressing. I would eat that salad for lunch everyday. I also ordered the pork belly rice bowl . Steamed white rice topped with fresh lemon grass, kimchee, asian spiced vegetables, a poached egg, and a perfectly cooked portion of pork belly is what makes up a Bip Bowl. They have many choices for what meat you would like on top. Overall, this is a great place to go if you are looking for something a bit off the grid. It really filled my need for really good food in a relaxed atmosphere. You don’t need to get dressed up to grab a bite here, come as you are and chow down on a bowl or a sandwich. I also must mention that you can park in the lot across the street for free when you buy something. Bring in your parking ticket and get it stamped by the business that you purchase your food from. It is easy to get in and out of the parking lot. because good food does not require a fancy outfit. All written content, photos, and collages © mplsgossipgirl 2013 unless otherwise stated. Please remember all content is the opinion of the writer.